It is important as a new business owner that you focus your energy on maximising your profits, rather than getting caught up in onerous administrative and legal obligations. 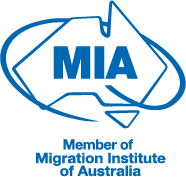 These obligations can be especially demanding in Australia, which is renowned for its stringent rules and regulations. However, starting your own business in Australia needn’t be scary, and with Pathway by your side, it’ll be simple. advising on your business's tax obligations. Our knowledge of your individual circumstances places the Pathway team in the best position to provide ongoing advisory and guidance services to support you in achieving your business goals, and with a view to maintaining a long lasting and productive Australian relationship with you. For assistance in creating and sustaining your new Australian business, speak to our qualified lawyers now.